Gary Edgley praised his Boston Town side’s courage to fight back after hitting the ‘self-destruct button’ at Cogenhoe. The Poachers trailed 2-0 at half time in blustery conditions, but a stunning volley from Fraser Bayliss and Harrison Holland’s equaliser saw the Poachers head home happy. 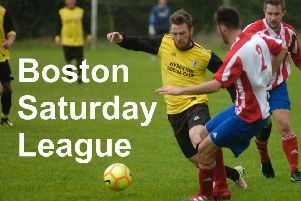 “We showed great strength in depth,” Edgley told bostontownfc.co.uk. “Travelling to sixth-placed Cogenhoe with eight players missing, playing a team that had won their last five matches, and on their notorious windy pitch, was always going to be a hard place to come and get anything. “We played against what was a mini hurricane in the first half and I thought we coped really well with the conditions until we hit the self-destruct button for a crazy three minutes with half an hour gone. Town made tactical changes at the interval which saw them claw back the deficit, making it just one defeat in the past 11 UCL Premier contests. “We changed our shape at half-time and came out with the bit between our teeth,” Edgley added. “Bayliss produced the only real quality moment of the game with a 25-yard volley after 10 minutes. “We were then looking for an equaliser and it came on the half-hour mark. (Jacob) Fenton flicked on a ball for Fraser and his centre was met by Holland to finish from close range. “The closest either team came to a winner was when a (Travis) Portas clearance just floated over their crossbar.